It’s taken Niagara writer Michael Clarkson forty-six years to get his new book on Niagara Falls daredevils published. But the prolific writer and former newspaperman has done it. The 256-page book has already been out on Amazon, where it is currently the top seller in 20th Century American History. This book looks at the personal toll and often deadly toll that sought fame and fortune and got none of it. It also focuses on the exploits of the Niagara Falls family of Hills who were called upon by authorities over the past century to rescue people trapped in the Niagara gorge or to retrieve bodies from the river. Looks like a great read. Michael Clarkson will be signing copies of his new book on Sunday, October 16th between 1 and 4 p.m. at Chapters in the Fairview Mall, 285 Geneva Street, St. Catharines. 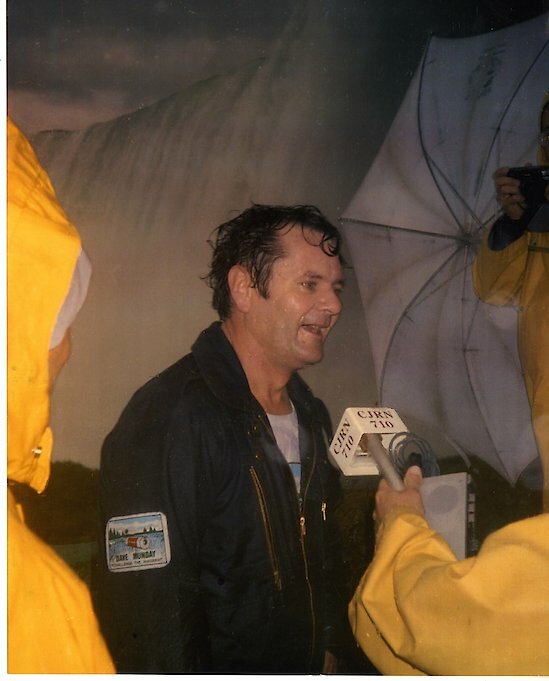 Here’s a photo my eight year old son Michael took of David Munday after he had successfully went over the Canadian Horseshoe Falls on October 5, 1985.